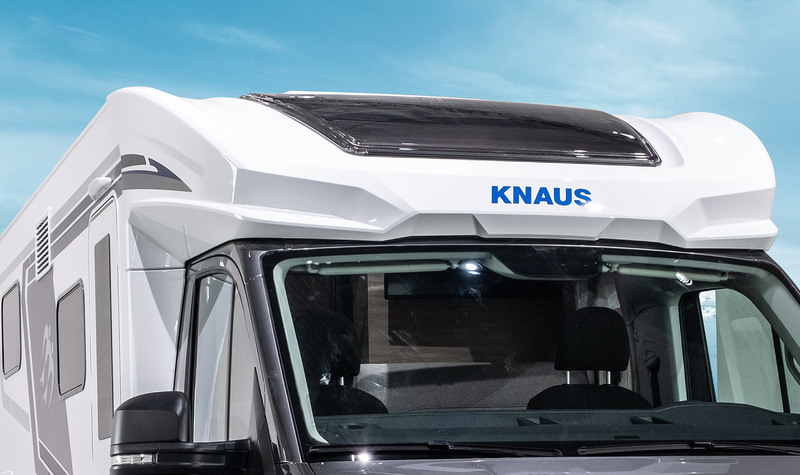 Here, we bring together what belongs together: In combination, the manoeuvrability of the KNAUS VAN TI and the automated chassis features of MAN TGE result in a unique motorhome meaning that your desire to travel has no limits. Whether breath‐taking serpentines or bumpy gravel roads; whether travelling on snow‐covered roads or in exotic oases. Drive wherever you want! The best of three worlds: The VAN TI PLUS combines state‐of‐the‐art safety features, driver assistance systems and a dynamic design. Decide for yourself how you want to discover the world. The weight‐saving front‐wheel drive is a standard fitting, but can be replaced by a dynamic rear‐wheel drive or hightraction four‐wheel drive to your liking. The emergency brake assistant is part of the VAN TI PLUS standard equipment and protects you from rear‐end collisions in dangerous situations. Good to have it, yet better not to need it. 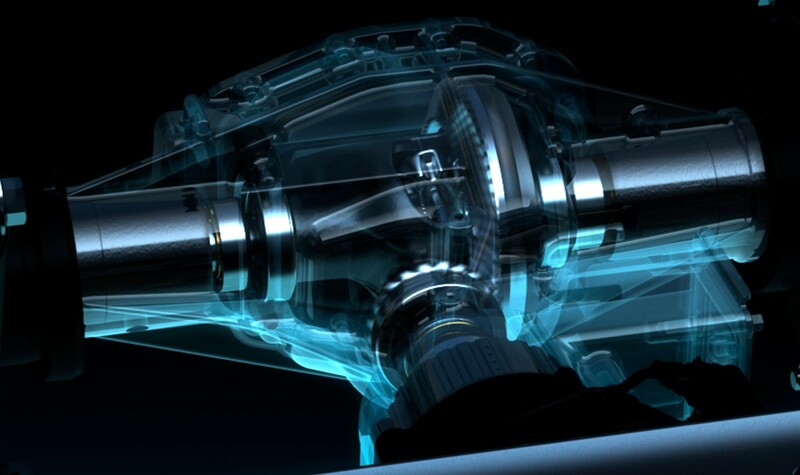 ESP and ABS, as well as multi‐collision brake also ensure increased driving safety. And thanks to the hill driving assistant, even steep road surfaces are no problem. 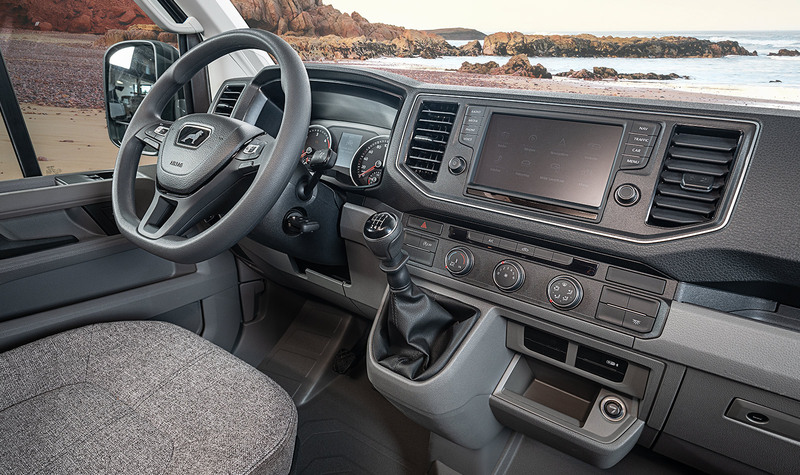 You can also equip your VAN TI PLUS with Adaptive Cruise Control (ACC), active lane departure warning assist and „Light Assist‟ high‐beam assistant, as well as fatigue detection and lane departure warning assist for even greater safety. We paid special attention to a particularly dynamic design when developing the VAN TI PLUS. 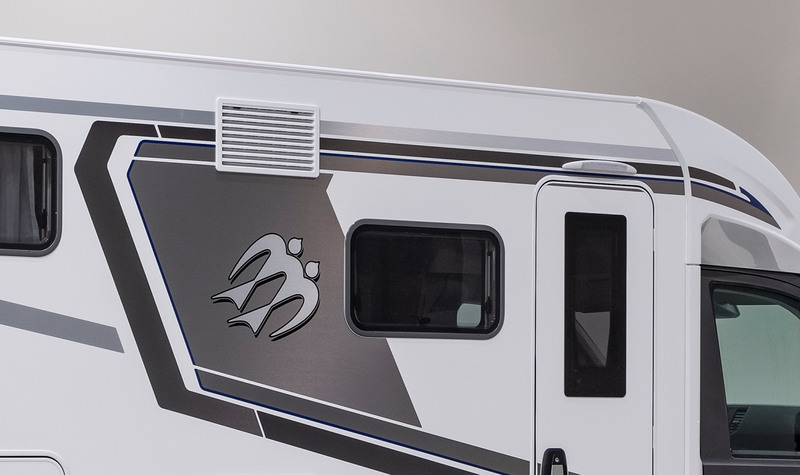 Flowing transitions to the fender and hood, with integrated cut graphics ensure the homogeneous integration of the cab and body. The dynamic silhouette with its striking light edges and sporty proportions is a real eye‐catcher. This also applies to the KNAUS CATEYE evolution – rear tail light with 3‐dimensional lighting geometry and dynamic blinker in LED technology. The underside of the floor as well as the garage floor are coated with particularly resistant fibreglass. 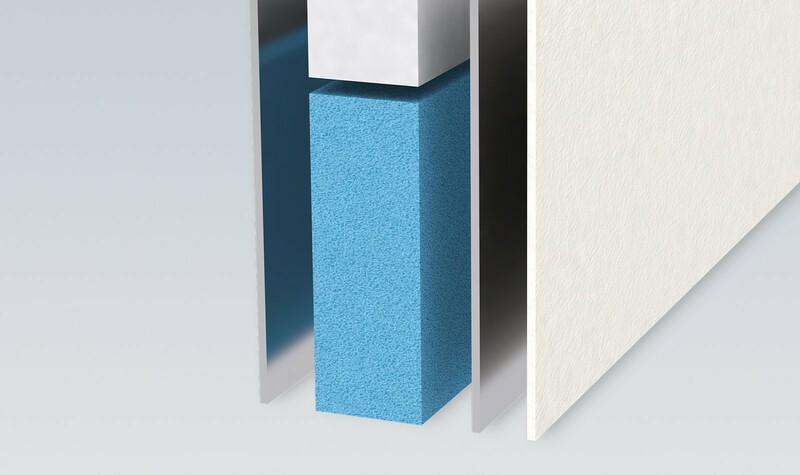 Combined with the XPS insulation, the vehicle is optimally protected against the weather, stone impacts or similar, and it offers optimised insulation values. For you, this means: No cold feet and a particularly long‐lasting vehicle quality. With a particularly high content of glass, the high‐strength fibreglass roof offers the highest level of hail protection, giving you worry‐free and quiet nights, even in bad weather. Elaborate aluminium sandwich structures make the entire vehicle construction more stable, more resistant against rotting, and extremely durable. 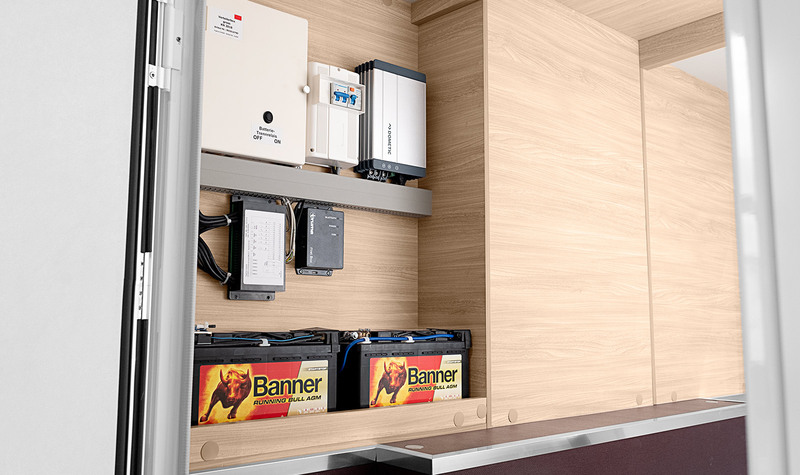 We made sure that everything is easily accessible when positioning the entire supply technology. 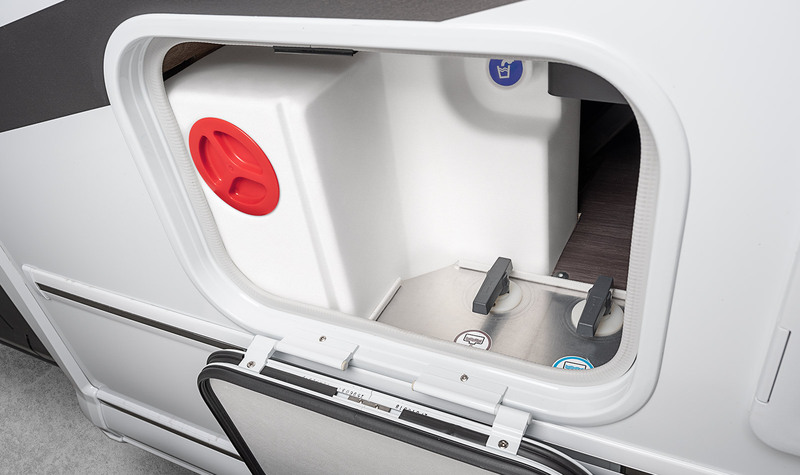 As a result, you will find a clear area for the on‐board electrical system in the rear garage with space for two powerful batteries. Our proven ServiceBox combines all important functions and connections centrally in one place: From fresh water tank filling to a greywater drainage tap. Whether for servicing, maintenance or daily use: You never have to search or work for a long time here, but can quickly return to doing more enjoyable things. 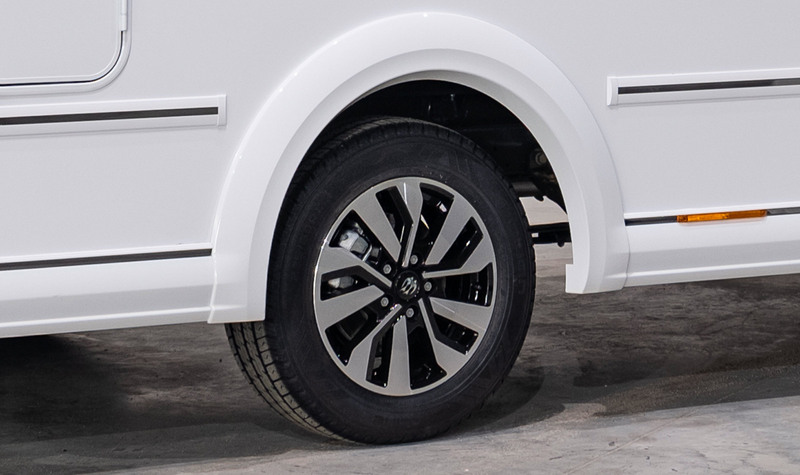 Optionally, the exclusive KNAUS 17" alloy wheels with a striking design and genuine KNAUS DNA ensure strong performance. The garage door and service flaps are optionally equipped with central locking for even more comfort.